Since the founding of the winery in 1973, Cakebread Cellars has focused on making fine Napa Valley wines. 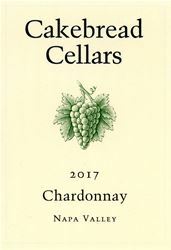 They attribute the success of their winery, Cakebread Cellars, to their over 40 years of dedication to quality, consistency and continuity, characteristics that apply equally to the grapes, the wines, the people and the overall operation of the winery. While an appointment is necessary to taste, they are easy to set up by calling us at 800.588.0298. Our staff is very wine knowledgeable and enjoys answering your questions. Wine Education: We offer special educational tastings, see our website for details. Food Available: We offer special wine and food tastings on specified days. Please see our web site for details. To join the wine club, visit www.cakebread.com or call 707-963-5222. Cakebread Cellars features four wine clubs; The Bakers Club, the Classic Red Wine Club, the Cabernet Only Club and the White Wine Club. Each receive four or six bottles of wine several times each year. Benefits include invitations to members only events, a special tasting area when visiting the winery and an annual offering from a selection of library wines. Cakebread Cellars is certified under the Napa Green Winery Program by the Napa County Department of Environmental Management (DEM) and the Association of Bay Area Government’s (ABAG) Green Business Program and completed all the regulatory components needed for environmental sustainability. These components included developing water and energy conservation methods, preventing pollution, and reducing solid waste. In addition to developing sustainable winery practices, this program is set to become the standard for the state of California. Cakebread Cellars is certified under the Napa Green Certified Land Program. Cakebread Cellars has created and implemented a customized farm plan with measured results that addressed all aspects of its property, vineyard land as well as non-farmed land, including practicing soil conservation, water conservation, stable drainage, riparian corridor enhancement, fisheries and wildlife habitat enhancement and long-term improvement and sustainability.